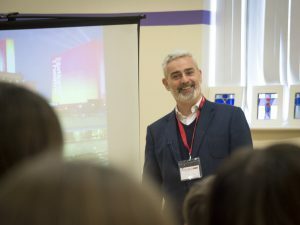 Soon after we returned in January we were lucky enough to have a visit from Martin Prendergast, previously Head of Communications for the National Theatre. 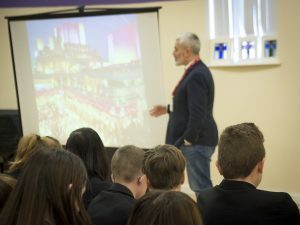 During his visit he gave an inspiring talk about his career and life experiences to pupils in years 9 through to 11. 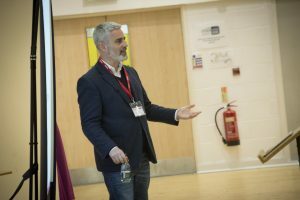 During his talk he led the pupils through his ‘top tips’ for how to succeed in their careers and then talked about his own journey. 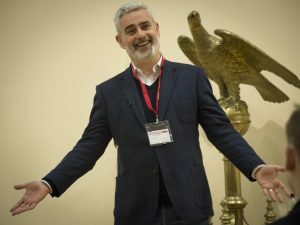 At the end of his presentation he held a question and answer segment where he answered the pupils’ questions about theatre, business and life in general. The pupils were very vocal in their enjoyment of the session and Martin hopes to visit again next year.